Everything you need to know to polish, condition, and care for full grain leather, suede, cordovan, and reptile shoes. 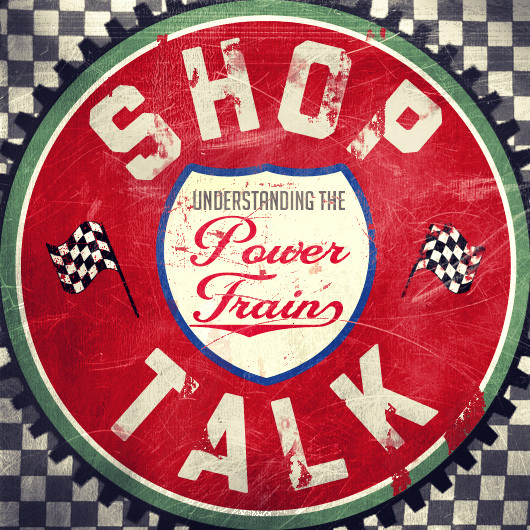 With proper maintenance, a good pair of shoes can last for years. Decades even. Sure, $300 to $600 does sound like an awful lot for a single pair of shoes, but ask yourself which is better in the long run: Paying $150 for shoes that you’ll have for a few seasons or $300 for a pair that you may get to pass down to your sons some day? Another benefit to buying better quality is that they’ll actually look better with age and use. Your shoes will grow old with you so long as the leather has been nourished, periodically polished, and kept in shape with shoe trees. For the frugal gents reading this, I urge you not to skimp on your shoes. With many makers using the “goodyear” welt, you’ll be able to replace soles when they eventually wear through as well as the heels. True, the wallet takes a serious hit at first, but buying quality footwear is a smart investment that will save you money over time. So how to keep your shoes in tip-top condition? That depends on the leather – each has its own process. Let’s take a look at four of the more common types: calf, cordovan, suede, and reptile. Follow along and I’ll show step by step how to have your shoes looking their best for years to come. 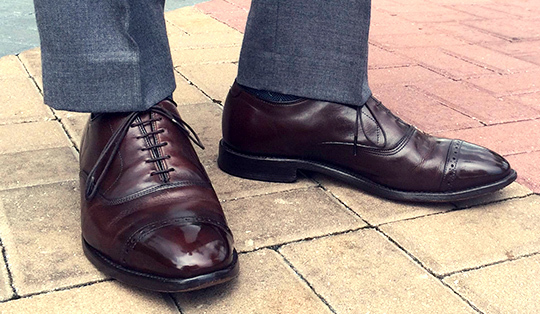 Pictured: Allen Edmonds “Fifth Avenue” Brogued Cap-toe Oxford in “Brown Burnished Calf” leather. Calf skin – beloved for its pliability and fine grain. This durable leather is an excellent material for shoe-making and would be a wise choice for your first formal oxford. Calf will develop a patina over time (which can’t be said for cheap corrected grain leathers), but how that develops has a lot to do with the care it’s given. Insert shoe trees and remove the laces. Gently wipe the shoes with a damp cloth and allow them to dry. Buff with a horsehair brush to clean away any lingering dirt or dust. Before we move on, do the creases of your shoes look like mine? I’ve owned these oxfords for a couple years and have polished them at least a dozen times since taking them home. If you look closely, you’ll see a build-up of old shoe cream in the creases behind the cap toes. Applying more cream and/or polish will only add to the unsightly problem so, if I want a good shine, I’ll have to remove that crusty gunk first. To strip away those caked layers, we’ll need some nail polish remover. I should tell you, there is a bit of risk involved here. Do not, I repeat, DO NOT rub any product containing acetone or alcohol too vigorously into the leather as it can discolor your shoes. It’s important you know that this is not an absolutely necessary step, but if you want a true mirror shine then it’s best to work from a clean surface. I use a cotton swab to delicately get in there and wipe the old polish away. Next up: Conditioning. Leather is skin and, like yours, it needs to be taken care of to look its best. To soften the leather and start building a base for that shine, you’ll need a conditioning product. I’m using Saphir’s Renovateur and applying it with an old tshirt. If you’re at all into men’s shoes, you’ve probably heard of Saphir’s legendary Renovateur – it's widely heralded as the single best shoe care product there is and for good reason. Yes, it’s superlative, but it will cost you. A 75ml jar will generally run about $25. Alternatively, Allen Edmond’s leather conditioner is also very good and significantly cheaper. Choose whichever is right for you. Allow to dry for approximately 20 minutes. With just a dab or two, work the conditioner into the leather evenly over the entire shoe. Allow to set and dry for approximately 20 minutes. Buff the shoes again with your horsehair brush. This is done to move the conditioner around and distribute the product evenly. Reach for your shoe cream and dauber brush next – it’s time to color your shoes. Use the dauber to spread a dime-sized amount of cream over each shoe. For an exact match, I’d advise you buy your creams from the same place you bought your shoes. Don’t fret if that particular brand doesn’t make shoe care products – reputable companies like Kiwi, Allen Edmonds, Meltonian, Saphir, and Alden have you covered with a huge array of creams in all shades. Once done, let the shoes rest for another 20 minutes. Buff one more time aaannndddddd…Congrats! You’ve successfully polished your shoes! You’ve nourished and re-colored your shoes so the job’s done, right? Sit back down, hombre. Let’s go above and beyond. Sure, your shoes would be no worse for wear if we skipped out on these last few steps, but the glossy shine that only a wax polish can deliver is worth the extra effort. In order to get that nice glass-like shine, we’ll need to fill in the leather’s pores. What we’re doing, essentially, is making a flat surface for light to reflect. There’s really no quick way to do it. Attaining the mirror shine takes patience and practice, but the end result is marvelous. Pop the lid on your wax polish tin and wrap that cut-up old tshirt around your dominate hand’s index and middle fingers. Rub a dime-sized amount of dry wax into the leather with a good bit of pressure. Again, be sure to spread an even coat. I’d recommend pouring a drink and queuing up something good on Netflix while you wait another 20 minutes for the next step. Buff the shoes again and re-wrap your fingers. 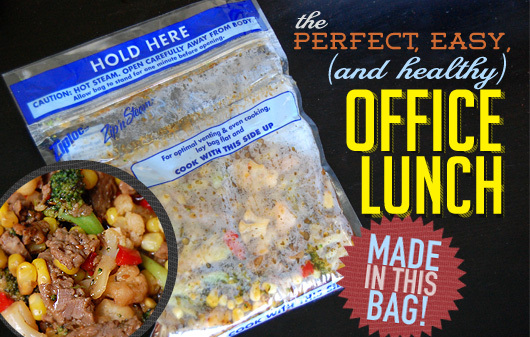 This time, fill the tin’s lid with a little water and set it beside you. Dab the tiniest bit of polish on your clothed index finger. Touch your ring finger to the water and transfer a small droplet to the shoe. Immediately begin working the water and polish around rapidly in a circular motion. Do this over, and over, and over, and over again. This is going to be a bit of a trial-and-error learning process for most. It’s not something many of us get exactly right the first time and it’s a difficult thing to get across clearly in writing. Experience is the best teacher, though, so don’t quit or get discouraged. After 10 minutes or so, park the shoes on some newspaper and let them rest for 20 more minutes. Stay with me, fellas. The finish line is in sight – we’re ready for the mirror shine. Focus your attention on the shoes’ toes. These are about the only parts of the shoes that don’t flex or bend when walking so they’ll hold a pristine shine much longer than the vamp or sides of the shoes would. Again, with your clothed fingers and tin of water, quickly work very small amounts of polish and water into the cap-toes for another 10 minutes. For best results, allow the shoes to dry and the wax to set overnight. Let’s finish this. For the final round of shining, wrap your fingers in a clean area of the tshirt or flannel chamois to spread just a bit more water and a minute amount of polish around the toes. Work quickly here – the leather should be smooth as glass (and look it too). Last step! This may sound a little strange, but I want you to take a black nylon stocking and buff the toes with it. We’re using nylons to dust instead of the horsehair brush in order to avoid any dulling or scratching. Just trust me on this one. We’re done! How’d it go? If you achieved the legendary Mirror Shine, share it! Shoot us a message or post it to Instagram with hashtag #primermagazine and show off your beautiful shoes. 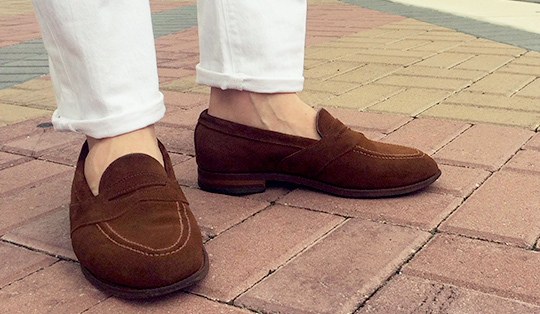 Pictured – Alfred Sargent Full-Strap Penny Loafer in “Snuff” suede leather. Suede – there’s no other leather quite like it. You’ll notice the differences right away by sight and touch. What you lose in durability, you gain in texture and softness. Suede has an inherently casual vibe and, though formal types of shoes are also made in suede, I think it looks best in loafers, chukkas, and boots. The only drawback is that suede picks up spots. If your suede shoes are lighter in color, stains are almost inevitable. For that deep down dirt, you’ll need to loosen it up with a spot eraser. Treat the spots by firmly rubbing over them. This probably won’t completely rid the shoes of the spots, but it will get the leather ready for cleaning. Wipe away the crumbled bits of eraser and grab your suede shampoo. A little goes a long way with Saphir’s Omni’Nettoyant so, really, only a capful or so is needed for the job. I recommend a 3-1 dilution of warm water to cleaner. Have your bowl and clean applicator brush (which comes with the shampoo) at the ready. Note: I’ve heard that some folks use white vinegar and water in lieu of the shampoo, but I feel a lot better using products made specifically for this purpose. Scrub the Omni’Nettoyant into the leather by brushing all over the shoe in a circular motion. It’ll produce a light lather as you go. Areas you previously treated with the eraser should get a little extra attention here. To prevent water staining, try to keep the shoe evenly wet (if that makes sense) and work somewhat quickly. Rinse the shampoo. Some will recommend you put the shoes under the faucet, but I’d think it difficult to keep water from getting inside the shoe. If you do opt for this method, take great care to avoid that from happening. Instead, I wash the brush and get myself a fresh bowl of warm water. Dip the brush and work the shoes over again. Repeat this process until it no longer produces a lather. The hard part’s over! The shoes have earned a rest. If you do not have shoe trees, stuff them with newspaper and lay them on their sides. Allow to dry completely before moving on to the next step. I typically let them sit overnight. Your shoes might look a little dull. No worries – that’s perfectly OK at this stage. The nap of the leather is likely a bit flat so let’s fluff that up with a hard bristle suede or crepe brush. This should start to liven up your shoes some. Finding that the color still isn’t right? This is where you would use a re-coloring spray which, hopefully, your shoe maker produces in the same shade. A perfect color match isn’t necessary, but it should be close. I’m fresh out of color spray at the moment (sorry about that), but I have found that a light steam rejuvenates suede beautifully. Try using a hand-held steamer roughly 8-10 inches away from the shoe – you’re not trying to wet the shoe, just warm it. Lastly, apply a suede protector spray. This will help to waterproof the shoes and keep them from picking up stains. Common sense tells us not to wear suede when it’s raining out, but you’ll be ready when the weather tries to take you by surprise. Spray the shoes in a well-ventilated area from approximately 6-8 inches away in an even coat. Re-apply once every month for best results. Pictured: Crockett & Jones for Ralph Lauren “Marlow” Wingtip Blucher in “Dark Brown” cordovan leather. Nick Horween (of the famed Horween Leather Company) once said that shell cordovan is, “Similar to having a fine wine that you can drink every day and keeps getting better.” Well put, Mr. Horween. Made from the tough rear-ends of horse hides, cordovan can last multiple lifetimes. No doubt about it, shell is expensive but it’s also the most difficult leather to produce. The tanning, stuffing, shaving, and polishing process takes at least six months, but the end result is undeniably gorgeous. Yes, the price tag is eye-popping, but they’re worth every penny. Remove the laces and wipe the shoes down with a damp cloth. Cordovan can sometimes have some white streaking in and around the creases. This is actually fat and should be mopped up prior to polishing. Buff the shoes to brush away dust and warm the leather. Apply a conditioning product to moisturize the leather and create a foundation for polish to lay. We'll again be using Saphir’s legendary Renovateur. Again, a dab will do it. You won’t need much to coat the shoe. Distribute evenly with a chamois, flannel cloth, or an old tshirt. This next step has been debated amongst experts for ages. Those who follow the “Mac Method” argue that cordovan should only be polished on rare occasions (every 15-20 wears or so). At this stage, they’d tell you to vigorously brush your shoes “until your arms fall off”. After 5 or 6 minutes per shoe, you can call them done. For the purposes of this guide, though, I’ll go the distance! No shoe cream? Not necessary. Cordovan is non-porous; one of the many reasons it’s so revered. In this case, applying a cream polish would only make shining the shoes more difficult. There are creams made especially for cordovan, but I’ve found that conditioner does the job just fine. Feel free to skip straight ahead to wax polish. Apply an even coat of wax polish and set aside for at least 20 minutes. Repeat the previous step verbatim only, this time, use about half as much (a very small amount) as you did on the first pass. 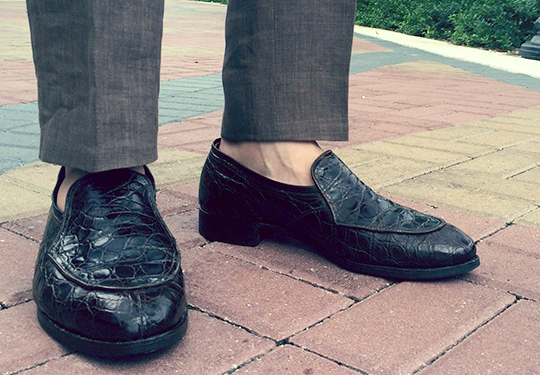 Pictured: Nettleton Split-Toe Loafer in American Alligator leather. Wipe the shoes with a damp cloth to remove any surface dust and dirt. It’s always best to work with a clean surface. Allow a few minutes to dry before advancing to the next step. Buff the shoes with a horsehair brush. Alligator, lizard, and crocodile skins have scales with a whole lot of nooks and crannies. What the cloth couldn’t reach, the brush should. Reptile skin is special. You absolutely cannot use calf leather products on exotic leathers. Doing so could dry the scales and cause them to crack. Should that happen, the damage is irreparable. So, if not your standard creams and polishes, what should you use? It’s surprisingly difficult to find products made specifically for alligator, but once again, Saphir comes through with its specially formulated Reptan “Beauty Milk”. Gator leather hungrily laps this stuff up, so don’t worry about overuse. To apply, dip a flannel cloth into the container and lightly rub the “milk” into the leather in a circular motion. The more time you spend massaging the product in, the better. Cover the entire shoe and let the Reptan do its thing for 5 to 10 minutes. Use your horsehair brush to evenly distribute the product all over the shoe. There should be a slight glossiness to the leather after brushing. Want more of a shine? Alligator will never quite achieve the luster that calf or cordovan can, but it doesn’t have to be dull. Try wiping your shoes with a clean flannel cloth or a nylon stocking to finish the job. Cedar Shoe Trees – used to keep the shape of the shoe when not being worn. Shoe trees will also absorb perspiration and work to de-odorize. These will help tremendously to stave off wrinkles/creases. Avoid plastic trees whenever possible. Shoe Horn – Always use a shoe horn when putting your shoes on. This is for your comfort but also to keep the shape/structure of the upper’s heel. Horsehair Brushes – Used to brush dirt/dust from your shoes. Also great for spreading products evenly over the entire shoe and buffing leather to a shine. Leather Conditioners – Apply before polishing to rejuvenate/hydrate the leather. It’s perfectly fine, and even encouraged, to use between polishings as well. Shoe Cream – Used to color the shoe and create a base layer for wax polish to sit. Shoe Polish – Used to protect the shoe and make the leather shine. Flannel Chamois – Useful for applying polishes, creams, and conditioners. They’re especially good for buffing shoes to a shine. Old Cotton Tshirt – Give a spent undershirt new purpose by using it to apply wax polish. Applicator Daubers – Small brushes used to spread product, such as creams, across the shoes. Suede Shampoo – Specifically created for lifting dirt and stains from suede leather. Spot Eraser – Rub into suede leather to loosen up spots and stains. Suede/Crepe Brush –Used to raise/straighten the nap of suede leather. Helps the fibers to accept product better. Suede Protector – Spray on to waterproof suede (to an extent) and keep stains from setting. Handheld Steamer – Not necessary for shoe care, but a steamer can be used to bring some color and life to suede leather. Nail Polish Remover – Used with caution and in small doses to strip away old caked-on layers of cream polish. Black Nylon – Cut up some nylon leggings and use to wipe your shoes after each wear. The nylon will gently remove dust and help to keep your shine gleaming. Flannel Shoe Bags – These are a must-have when traveling. Store shoes in flannel bags to keep them from getting dinged up in your luggage. Galoshes – Shoes with leather soles aren’t completely waterproof. Keep the rain from getting inside by slipping the shoes into rubber galoshes. Excellent write-up! Nice use of vines. Try to buy men’s shoes that can be recrafted at the factory 9Alden, Allen Edmonds, etc..) They are better to begin with.